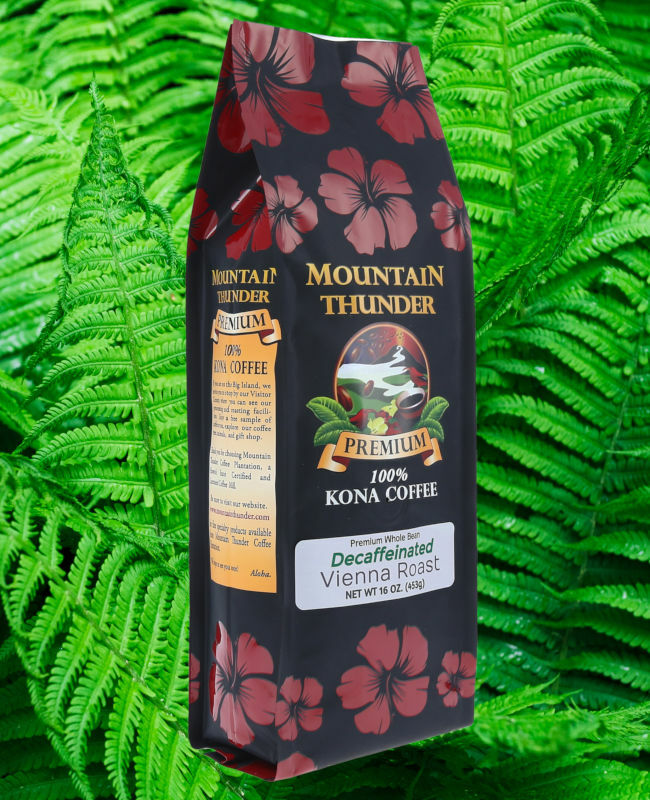 For lovers of gourmet Kona coffee, we are offering our 100% decaf Kona coffee. Ideal for who all the love taste of the Kona coffee, but desire a coffee that has been decaffeinated. We use a CO2 process, which eliminates the use of harsh solvents (chemical process) and does a much better job of maintaining the distinctive Kona coffee taste, compared to the Swiss Water process. The CO2 process naturally and gently removes the caffeine from our 100% Kona coffee beans by using CO2 to bind to the caffeine molecules and not the other essential elements of the coffee beans. Like with all decaffeinated coffee, there is still some trace levels of caffeine, but our process greatly reduces the amount. Our process is 100% natural and maintains the unique flavor profile of Kona coffee. Available in our expertly roasted French or Vienna Roasts.